Has your baby started and crawling and discovering things? 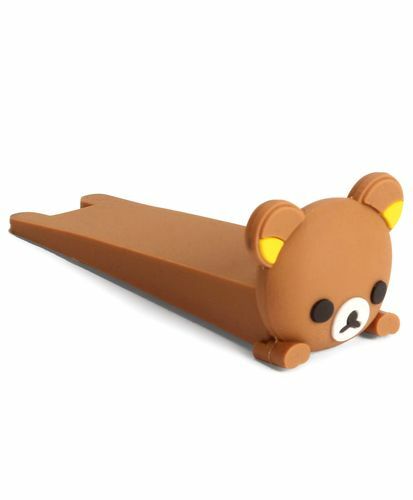 Its time to baby proof your home with this cute Baby Door Stopper from Adore. These products help babies stay protected from sharp edges, doors, shelves that result in cuts, bruise. These baby proofing products ensure there are no hurdles in your little Columbus' discoveries! About the Brand: Adore aims at constantly redefining parenting by offering a plethora of options for parents to choose from, they understand the ever evolving needs of babies and are committed to work on the means to meet their needs. They care for your baby as much you do. Explore the entire range of Baby Care Products available on Nykaa. Shop more Adore products here. Explore the entire range of Miscellaneous available on Nykaa. Shop more Adore products here.You can browse through the complete world of Adore Miscellaneous .